Would you fall in love with someone who is arrogant, exhibitionistic, vain, manipulative, and greedy for admiration? Would you work under a boss who flies into uncontrollable rages, assassinates the character of anyone who gets in his way, and then projects his own paranoia on to you? Sounds like a no-brainer…but many of us actually do! That makes some of us codependents and them power-hungry narcissists. As they trample over us in their quest for self-aggrandisement and we find ourselves dragged into an unhealthy parasitic relationship with them, our lives can become utterly miserable and feel out of control. This book shines a light on the reasons why narcissists and codependents are like they are, on the pain and suffering the narcissists inflict on codependents, and the pain and suffering they both inflict on others around them. Importantly, it shows how both narcissists and codependents can move towards winning back control and regaining happiness in their lives. And if you think no one could be so unremittingly egotistical, just hark back to the collapse of Enron in 2001 and that of RBS in 2009 — both of these spectacular crashes with worldwide reverberations were brought about by self-seeking CEOs whose narcissistic arrogance is typical of the behaviour of the narcissists dealt with in these pages. --- David Thomas grew up in Derbyshire, where he still lives and works as a company director and consultant. He is a Fellow of the Chartered Management Institute and holds masters and doctoral degrees in management, although he has wide-ranging experience in industry at all levels, and in the early 1980s he lived and worked in Brazil and France. His research interests are in managerial psychology, narcissistic behaviour, and the philosophy of happiness. Over many years he has researched the behaviour of CEOs and senior managers, as well as of office staff and shop-floor workers from a variety of walks of life. He is married with two children. A quote from the author appeared in a blog and caught my interest, leading to the purchase of this book. This book is very good at describing the dynamics of narcissists and their codependents. It was clear, concise, and would be particularly helpful to anyone coping with them in the workplace. I found it helpful that the author used the term "codependent" rather than the more pejorative "minion", "enabler", "co-narcissist", and "reverse narcissist" that are frequently deployed. (The last thing someone who is suffering or has suffered due to a narcissist needs to hear is that they're a "co-narcissist" as it -- albeit unintentionally -- adds to the feelings of guilt, shame, and confusion they already endure as part of the abuse.) The more neutral "codependent" term and the author's explanation of what causes codependency makes it easier to understand and accept that one's own experiences and psychological wounds cause him or her to be more susceptible to narcissistic control. Acknowledging one's own acquiescence and submission to the sick relationship is one of the steps needed to grow healthier and move past it, but there are many stages one must pass through before being ready to confront this. It is not an easy undertaking. As David Thomas affirms, it takes courage -- the courage to confront our own truths as well as the truths of others. 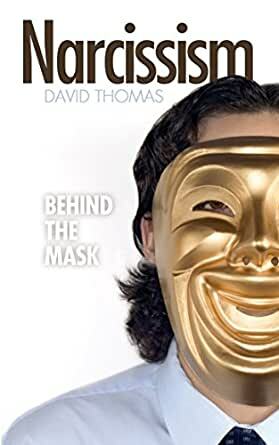 While I wouldn't recommend it as a stand-alone source about narcissism, this is a worthwhile read if you are interested in this topic. 18 mensen vonden dit nuttig. informative book but I was looking for more information on narcissism in the personal relationship. This was more career orientated. I am sure some of the information could cross over but it was not as helpful to me as I had hoped. HI, This book is awesome! He is an expert! The best of the narcissism books. It is not like the other books that mostly list symptoms. He explains it. I read it slow to understand it all. There is much new insight. It is worth getting. I have read all the books on Narcissism trying to figure out my situation. This book is one of the best. I am glad I got it. I appreciate the greater insights in this book. It shows about Narcissism in the work place an more...the lies/manipulation/pecking order/back stabbing/twisting etc. It explains Narcissism in great depth and understanding. It helps deal with narcissists in general. Are they happy? Youtube.com also has videos on narcissism that help. Best wishes. I've read a few other books on Narcissim. This one seems likes it just guestimates what a narcissict does and how they got to be that way. 5,0 van 5 sterrenVery good book! I loved this book! If you ever wanted clear examples of what narcissism looks like and how to deal with it, this is the book you're looking for. Plus it gives so much insight on where so much narcissism in today's world come from. Loved it!